We kick off our summer concert series with Todd Simpson and The Pine Hill Haints. Music starts at 4:30. Free admission. No Harley? No Bike? No Problem! 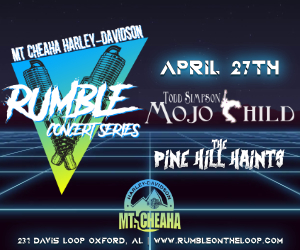 Everyone is welcome to the Rumble Concert Series.